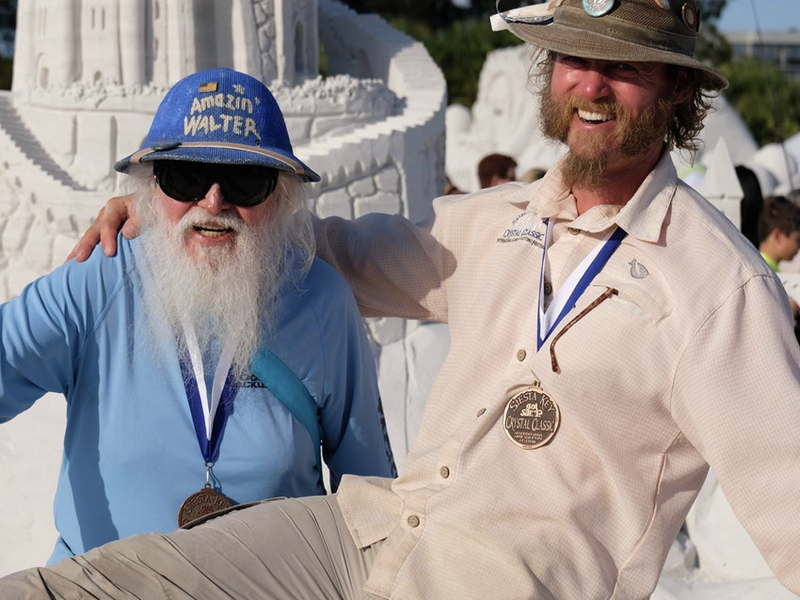 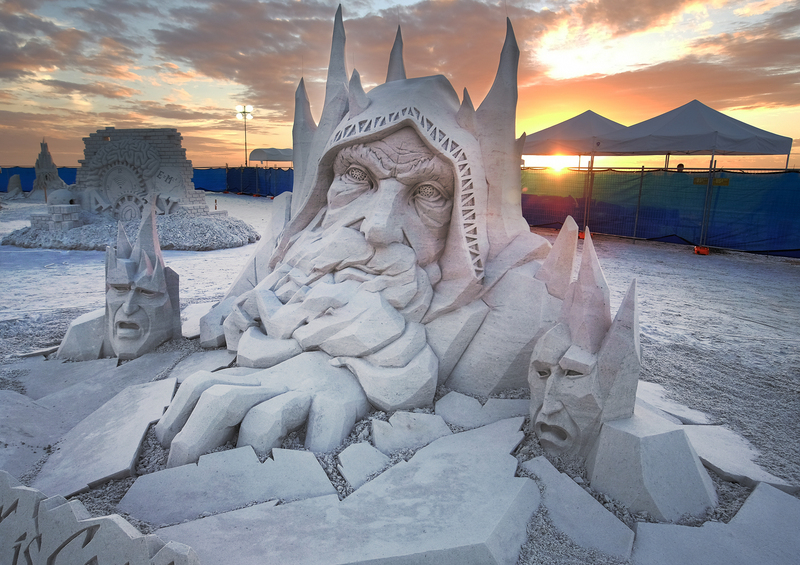 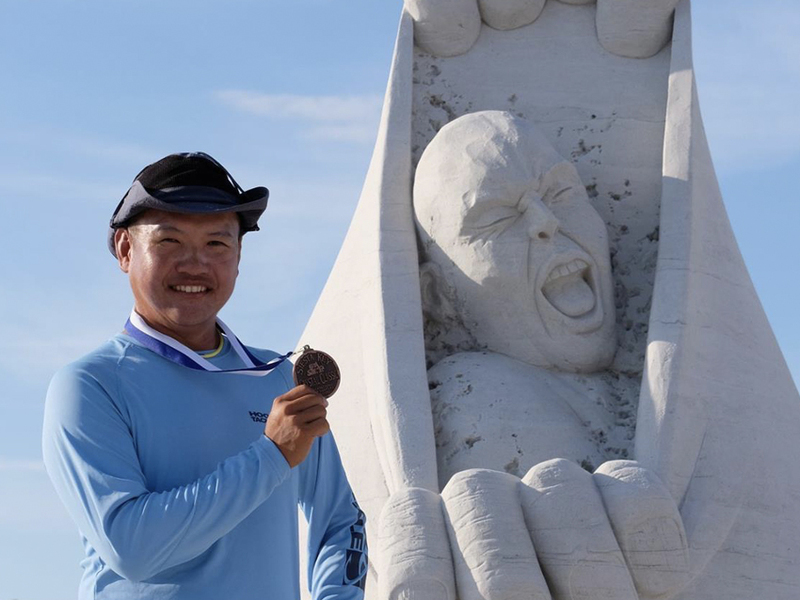 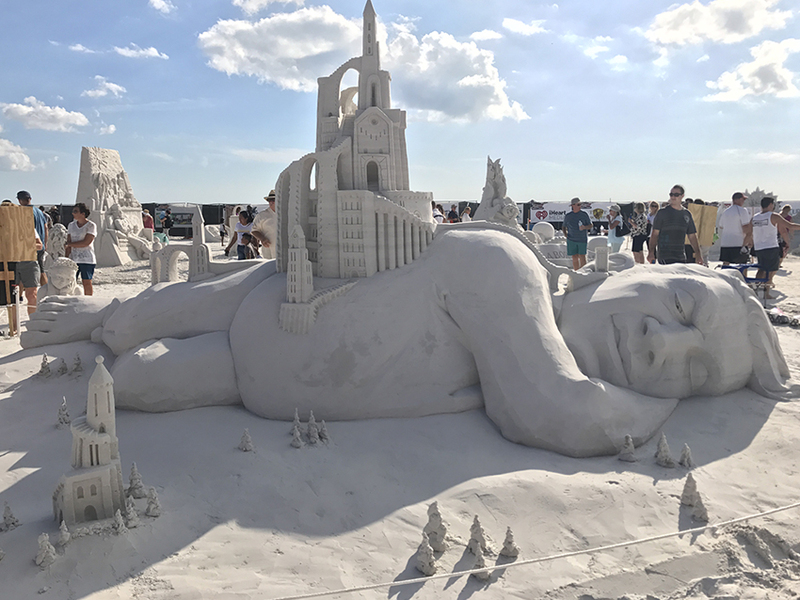 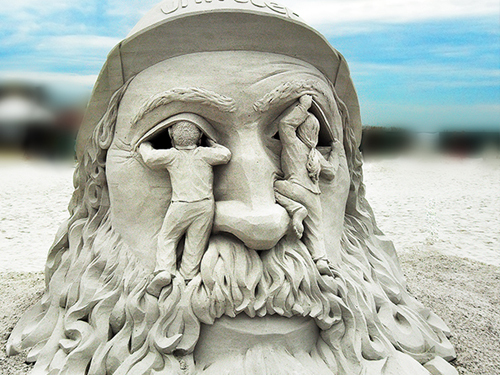 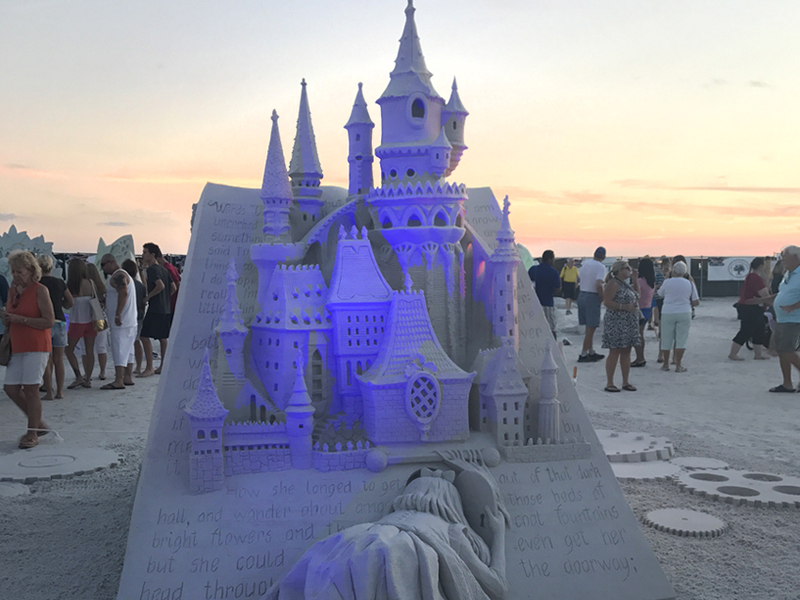 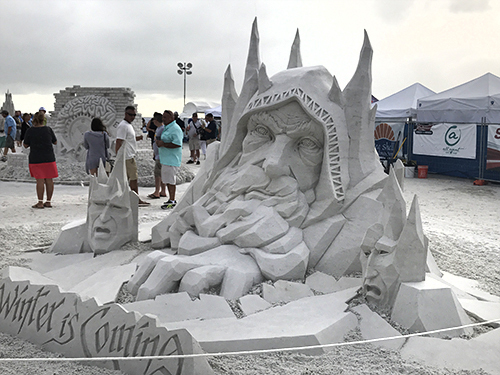 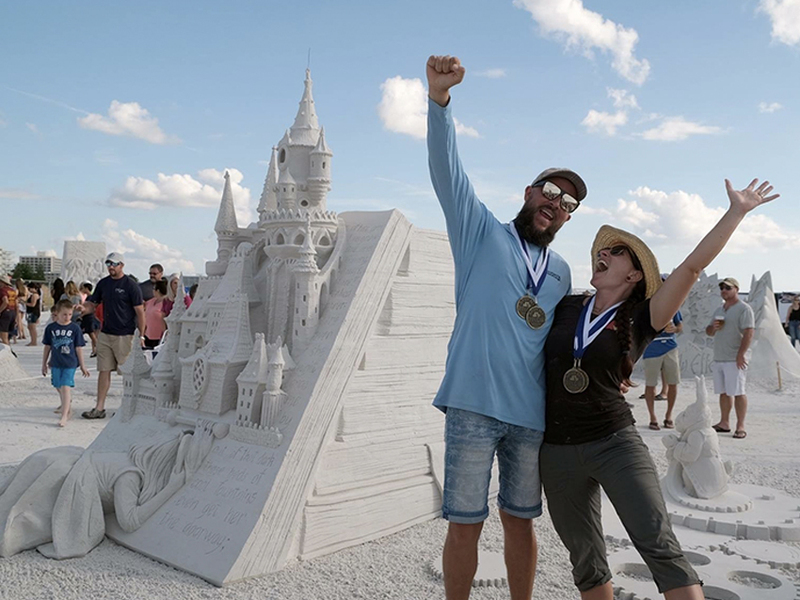 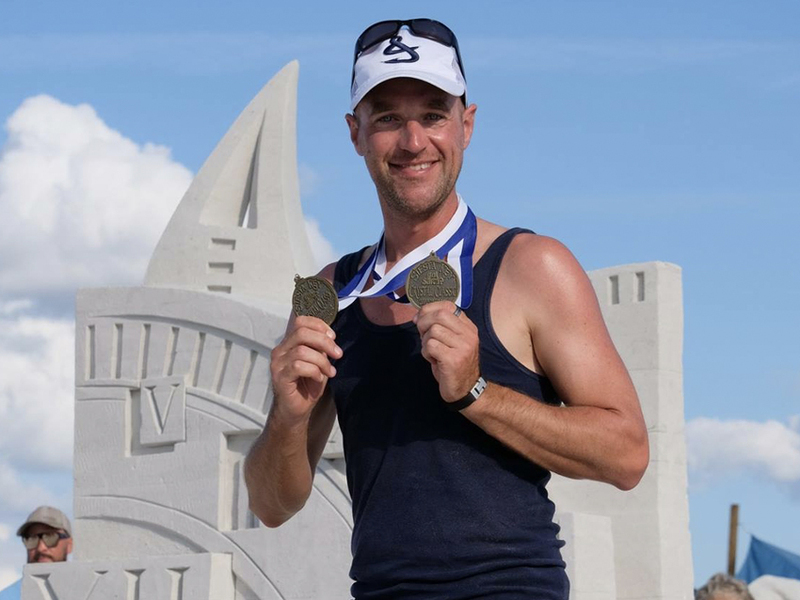 International sand sculpting champions were declared today during the ninth annual Siesta Key Crystal Classic International Sand Sculpting Festival, which is drawing thousands to Siesta Public Beach. 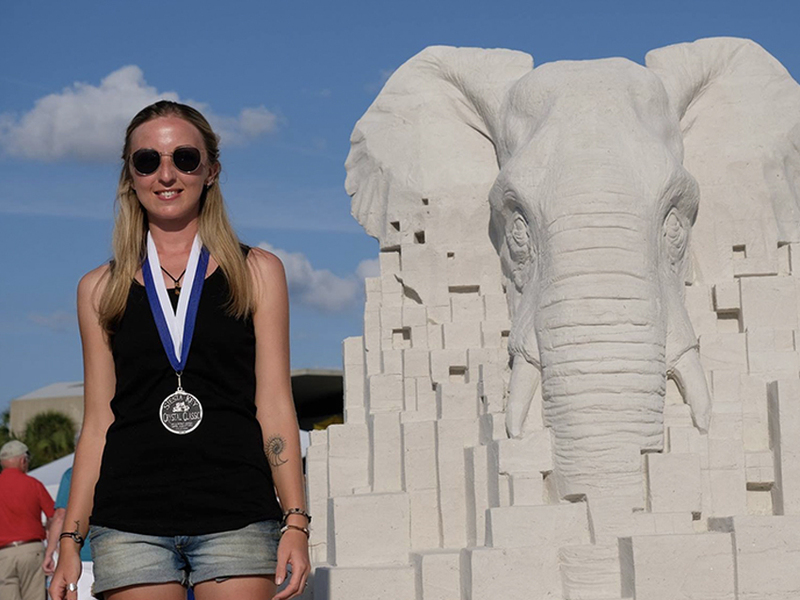 Awards were presented to winning teams of two and solo master sand sculptors. 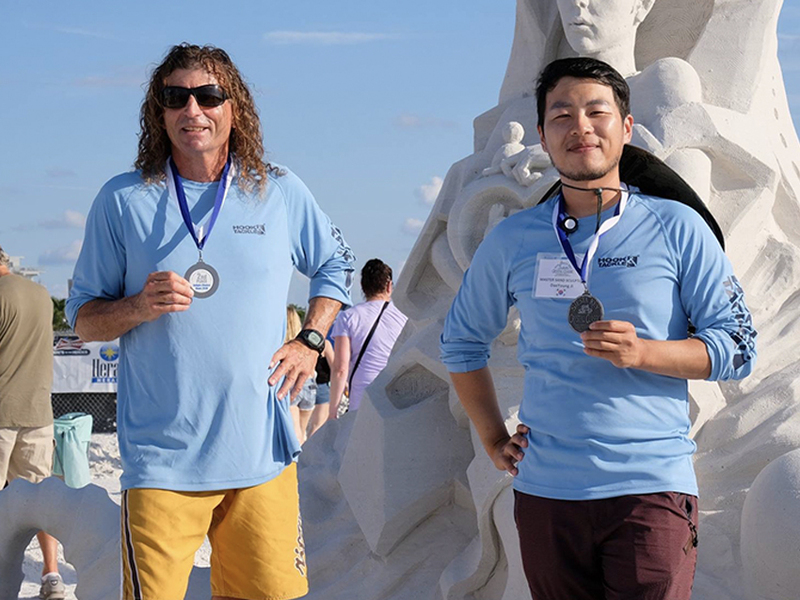 The Crystal Classic drew eight teams and eight solo artists from nations around the world, including South Korea, Canada, Italy, the Czech Republic, Singapore, United Kingdom, Lithuania, the Netherlands, and U.S. states including California, Washington State, Florida, Missouri, New York, Rhode Island, Illinois and Texas. 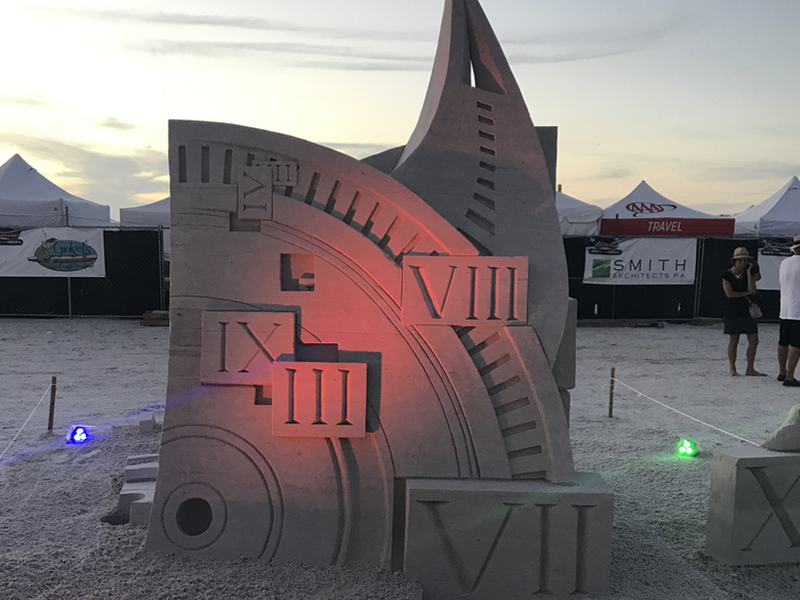 First place in the solo artist category was Maxim Gazendim, The Netherlands, for “Time Is What You Make of It,” $2000.